The National Rifle Association announced on Monday it awarded over $600,000 worth of grants to support local school security projects across the United States. The gun rights group said its 501(c)(3) nonprofit foundation gave 54 grants to schools in 23 states in order to forward the goals of its School Shield program. The grant program includes public as well as private schools that teach students from kindergarten to 12th grade. The group said the grants were provided to those who applied for them in order to implement "industry best practices in security infrastructure, technology, personnel, training, and policy." The NRA said the grants will be used for a number of different purposes depending on the school's needs. The money may go toward building renovations focused on increasing security, improving communications systems, or providing emergency medical kits and live-saving training. The group said it's all part of an effort to provide real-world solutions to the threat of attacks on schools. 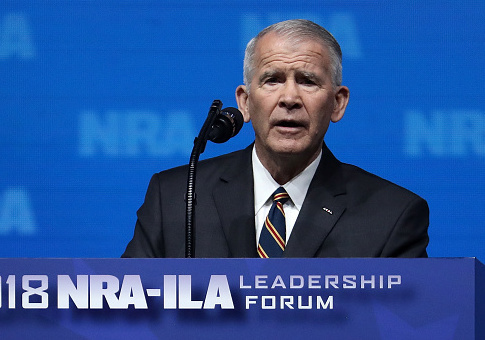 "The NRA is proud to be at a forefront of providing meaningful solutions to safeguard our nation's schools," Oliver North, NRA president, said in a statement. "Protecting our most precious resource—our children—with substantive measures that work should be the top priority for all Americans. Thanks to the generous support of NRA members, many schools will now have the necessary funding to enhance their security." The group said that funding for school security projects has been a consistent problem and that the NRA could help those schools willing to work with them. "Funding is a persistent challenge in most communities," John Perren, senior adviser to the NRA executive vice president, said. "By working closely with our dedicated field staff, we were able to initiate this first national grant cycle and look forward to growing this critical element of the program for many years to come." The new grants give a boost to the NRA's School Shield program. That program was created in December 2012 in the aftermath of the horrific shooting at Sandy Hook Elementary School. The attack, which left 26 people dead, sparked heated debate on how to prevent future attacks and led the NRA to develop its own solution. Rather than focusing on new gun-control laws, which the group has long opposed, the NRA focused on developing and implementing best practices for school security. The program, the group said, recognizes that school security is complex and won't be perfected by a single solution but, instead, requires a comprehensive approach. It advocates for an approach that incorporates "security infrastructure, technology, personnel, training, and policy." Sheila Brantley, director of the NRA School Shield program, said the grants are critical to advancing the program's mission. "Our grant program is a critical piece of the puzzle when it comes to making our schools more secure and protecting our children," Brantley said. "We have made significant investments in helping stakeholders learn more about common vulnerabilities and best practices in terms of school security—even working with law enforcement and school leaders to standardize the process for conducting school vulnerability assessments through our Security Assessor Training program. With our grant program, schools in need have access to the funding necessary to make meaningful improvements." This entry was posted in Issues and tagged 2nd Amendment, Guns, NRA, Schools. Bookmark the permalink.